Joseph Wilkinson graduated from the University of Sheffield with a degree in Economics. He is working at one of world's leading research and insight consultancies measuring the effectiveness of marketing-related activities. He has developed and implemented numerous VBA macros and functions to assist with data processing tasks, including automation and the analysis of data. He has also developed a number of projects using C# and the .NET environment that interacted with Excel and VBA. Joe Wilkinson's route to lecturing began as a student of the very short course he now teaches. "I actually took Visual Basics for Applications (VBA) in 2010. I really enjoyed the content and was fortunate enough to have the opportunity to put what I was learning into practice. "I've always liked teaching others how to do things in Excel and with my new knowledge I set up a series of VBA workshops for my colleagues, which I found very rewarding. "I also developed a good relationship with my tutor, Dionisis Dimakopoulos, City's Computing Co-ordinator, who was looking to expand their computing short course provision. When Dionisis asked me if I would like to interview for the Visiting Lecturer position, I jumped at the opportunity! "What I really like about teaching at City is hearing about the recognition students receive in their day-to-day lives for applying what they have learnt. "The thing with Excel is that it is ubiquitous - every business uses a spreadsheet in some form. Doing some simple VBA to automate processing not only means the students get things done faster, they also get praise from their boss and it makes them feel great. I also really enjoy watching a concept sink in for a student, those true 'eureka' moments. 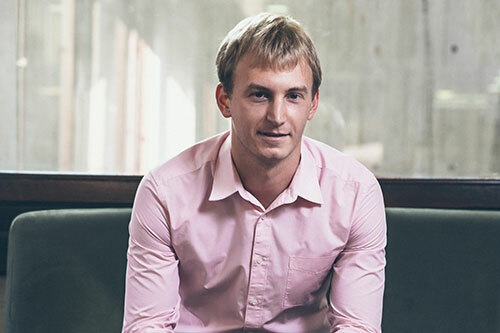 "I studied econometrics as part of my degree, but what I'm really passionate about is developing new processes and tools that have a direct impact both for businesses and clients. This can be using VBA to automate processing, reduce costs to the business, develop a web-based application to assist clients with planning their media campaigns, or to investigate how we can use machine-learning techniques to help us answer more questions. "The course I teach at City involves ten weeks of interactive classes for the three terms in the academic year. All classes are based in the computer lab and involve lots of hands-on exercises. The idea is to give students the skills to solve real world Excel problems with VBA. I also aim to develop the students' interest in programming. VBA is a great first language and a stepping-stone for VB.NET, C#, Java etc. "My top tip for students thinking of studying at City: research your course. A number of students have emailed me in the past for further information on the course; I would certainly advise students to do the same. To get the most out of the course you must also commit to the full ten weeks, so make sure you're choosing a course that you're really interested in!" Joe Wilkinson teaches the Visual Basic for Applications (VBA) in Excel Part 2 short course at City.